[CLOSED] I SEE i SEE, Ice Popsicles From Hong Kong Opens At 313 Somerset | JACQSOWHAT: Food. Travel. Lifestyle. Most flavours are made with high natural fruit content as a result of blending fresh fruits. There are about 8 to 12 flavours on display at any one time, and occasional specials on rotation. Juicy Honeydew ($5.90) – Tasted like ice blended honeydew juice with sliced of honeydew. Creamy Mango ($6.90) – Made with fresh mango puree and decorated with mango slices, this ice pop boast a gorgeous creamy texture. If you are a fan of mango sago dessert, this is definitely for you. Cheesy Raspberry ($6.90) – Their interpretation of a raspberry cheesecake, this treat boasts fresh raspberries in the middle, complemented by cream cheese. This prices for these ice pop range from $5.90 to $7.90 depending of the flavours you pick. This is no doubt a great remedy for this humid weather we have in Singapore, especially the fruity flavours which are absolutely refreshing. There are plenty of options in Somerset's food hall, some may argue that they rather pay $6.90 for llao llao instead. 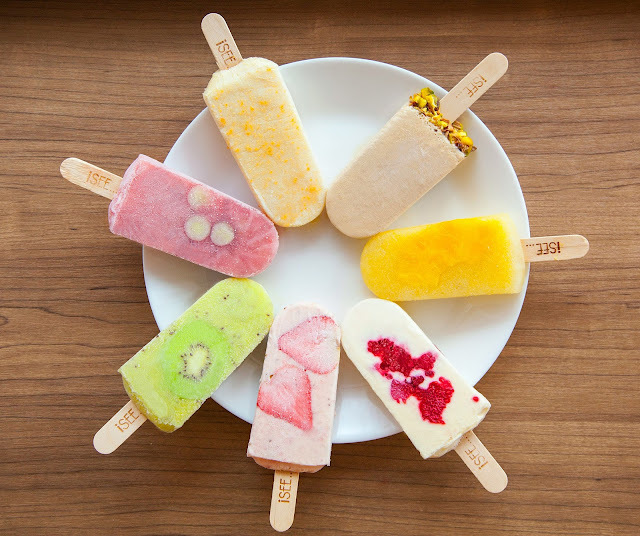 It really depends on individual, some days I would love to have a fruity ice popsicles to quench my thirst. Wow so nice Ice_cream. I loved it very much. And i am sure you also loved it very much. If you have any question about a divorce site divorce lawyer denver you can also welcomed to my site to get more information about that.